I read Albert Camus’ ‘The Outsider’ this week in preparation for the remarkable new novel ‘The Meursault Investigation’ by Kamel Daoud and having now read both books am left in no doubt of their significance in todays geopolitical climate. This short, hard-hitting book, written in 1942 remains as vital today as it did upon its release and shows how, from an Arab perspective, little has fundamentally changed. Entitled ‘The Outsider’ or ‘The Stranger’ it is the story of Mersault, a French colonist who narrates his own story, beginning with the death of his mother and his emotionless response to her passing. Financially unable to support her in the later stages of her life she dies in a home for the elderly where she met Thomas Perez, another elderly resident who she had become very close to. Mersault takes the long bus trip to the home to organise the funeral and his manner and subsequent actions are closely noted and become fatefully important as the story draws to a close. Camus captures the heat and the raw discomfort of travel in the fierceness of the Algerian sun, the emptiness Mersault feels as he declines to see the dead body of his mother, preferring instead to sit by the coffin and smoke. We quickly build up a picture of the central character and the upbringing he has endured. Once back in his home town he meets Marie, a former co-worker who he goes to the beach with and begins dating. Marie asks if he loves her but Mersault is indifferent to the notion of love and cannot provide her with the answer she is wanting to hear. This indifference becomes a common thread throughout the novel, he is offered the chance of a good position in Paris but tells his employer he doesn’t care either way. When challenged about the chance of changing and improving his life through promotion, Mersault declared his belief in most lives are fundamentally the same and that one’s life cannot truly change. Throughout this first person narrative we see Mersault as an honest man who chooses to speak plainly and bluntly. He speaks in matters of fact and doesn’t allow mitigating facts to colour his monochrome outlook on life. As the story plays out he is portrayed as a monster by those set to destroy him for what he did and one of the many parts to this story questions the readers empathy with him. Camus’ atheism flows through Mersault’s character in a charged final chapter in which he denounces a priest’s attempts to ask him to repent, for Mersault there is no God to save him from himself or his situation and cares less whether he dies now or years later, death is the inevitability of life. Fast forward to today and consider how Camus treats the central victim in the story. He is given no name other than ‘The Arab’. This is a clear statement of intent by Camus and illustrates the situation in Algiers at the time of the book’s writing. The indiference shown by a Westerner to the loss of an Arab’s life remains to this day and forms the crux to The Mersault Investgation. The antagonizing of the Arab community is noted but is it racially motivated? Whilst the issue of the French rule in Algiers can be attributed I believe Camus was more interested in the randomness of what Mersault did and how that accentuated his perceived role in society. The translation of the title into ‘The Outsider’ is incorrect in as much as Camus’s depiction of Mersault. 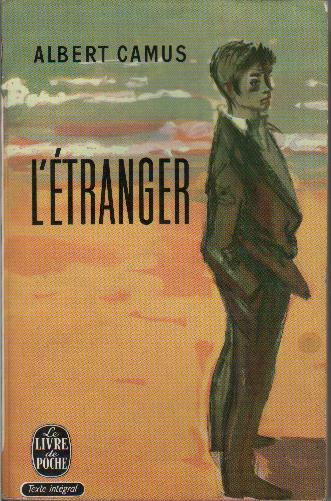 The original title was ‘The Stranger’ and it is Camus’ vision of a stranger within his own community and a man whose own actions he cannot explain to a courtroom of people demanding that he does. The brilliance of the narrative comes in questioning our own existence and the quest to find meaning for it. Camus suggests that regardless of what your God or anyone else may tell you that life could well be nothing more than a period of existence. I hate to say that the novel works on a number of levels but it does. Certain aspects will stand out more than others, Kamel Daoud choses to address his companion read in a specific way, a retaliation if you will from The Arab’s side. Camus’ novel is short but intense and in Mersault he creates a character who, despite his remarkable complexities offers a very forthright, ungodly view on life and how we live it.